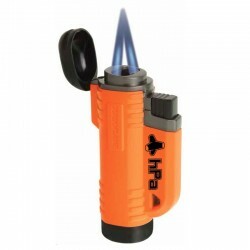 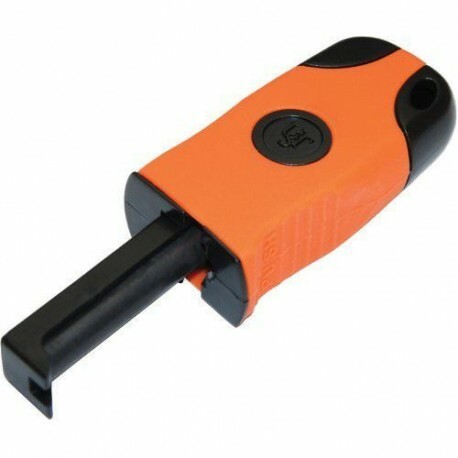 The Sparkie™ is a one-handed emergency fire starter that generates intense, hot sparks with minimal effort. 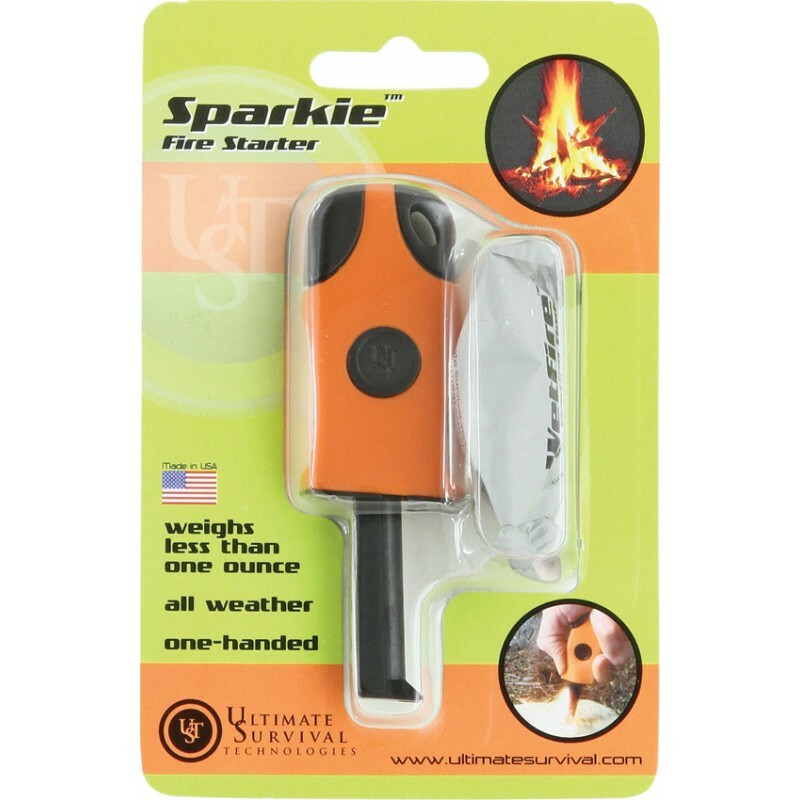 An innovative, patented flint-based fire starter that can be operated with one hand, the UST Sparkie Fire Starter generates an intense amount of sparks with minimal effort, even in adverse weather conditions. 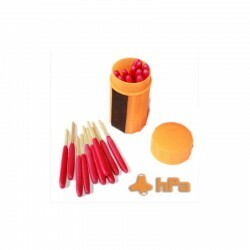 Designed for precision, the Sparkie can directionally target its sparks, and it can generate sparks three times hotter than a normal match. 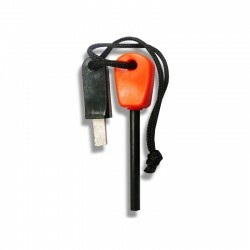 The Sparkie’s ultra-lightweight, durable plastic stands up to rugged use, and the flint rod collapses into the Sparkie plastic case for compact storage. 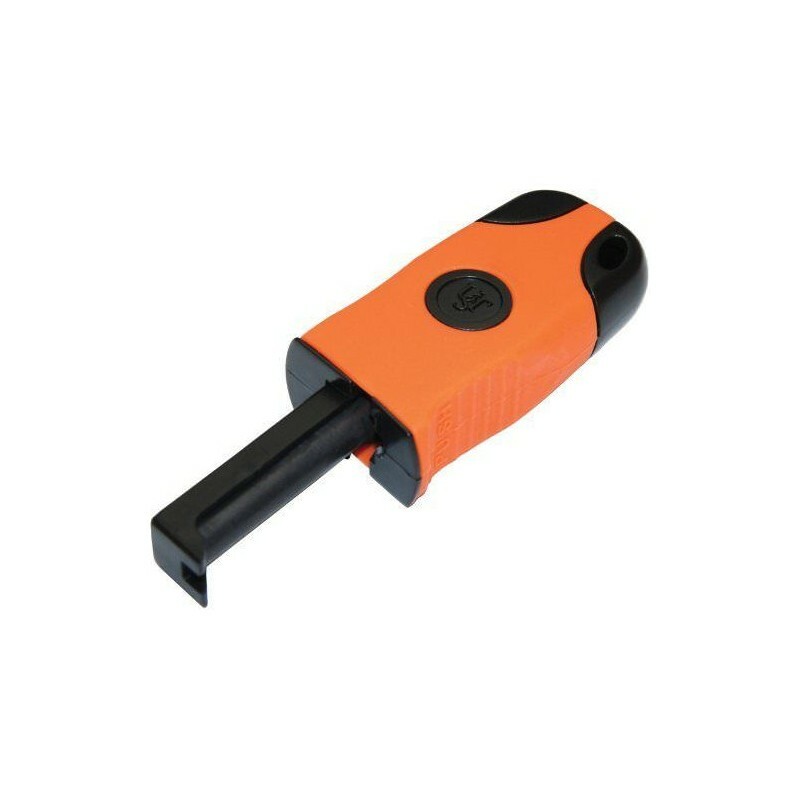 The built-in carbide striker and spring loaded flint based bar will last over 100 strikes.